Living overseas introduces one to a whole new culture. 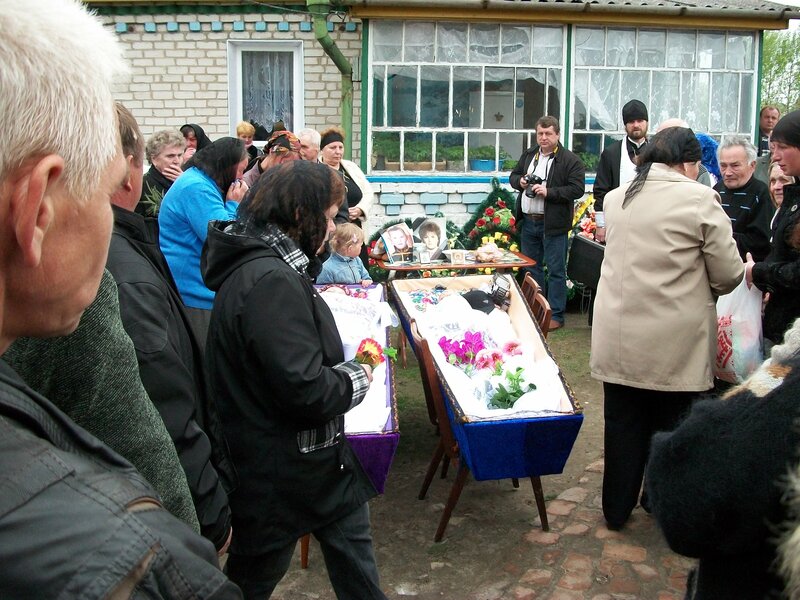 When we lived in Chervonoarmeysk (also known as Pulin) we attended a funeral. One morning we heard that a woman and her son were hit and killed the night before while riding their bicycles home. The daughter of the woman came to the Widow’s House regularly for computer classes. We figured we needed to pay our respects so we went with Nadia the teacher of the computer classes. They don’t embalm the bodies and they don’t have funeral homes. So they hold the services as fast as possible. That after noon they were laid out in the casket on the lawn in front of her house. Of course the family was there and the neighbors came to pay their respects. Many people brought flowers but they weren’t real flowers. They have special funeral flowers made of plastic. A few hours after the viewing they loaded the caskets onto the truck. They still did not have the tops on the caskets. 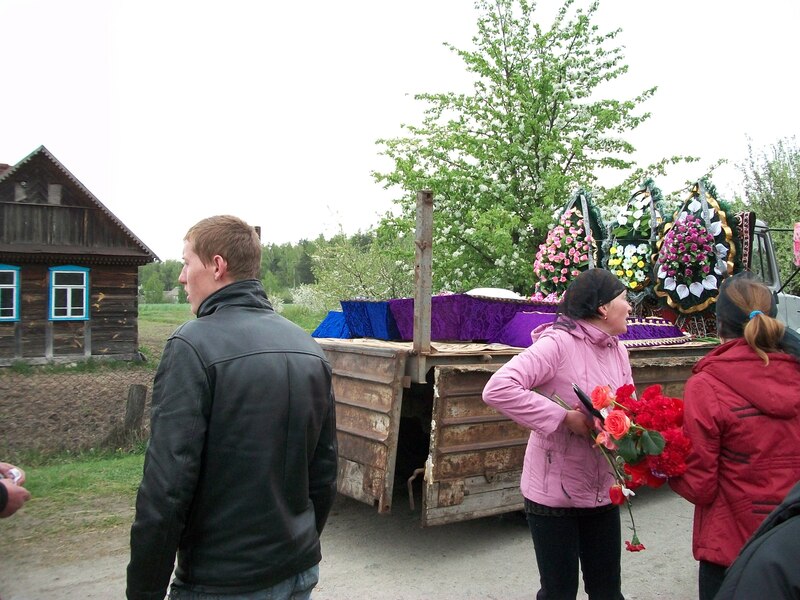 The mourners started following the truck as it slowly made its way to the cemetery. The priest from the Orthodox Church led the procession by walking in front of the truck. The cemetery was a mile to a mile and a half away and they walked the whole way. At the cemetery the grave was dug. The priest prayed. Then the family each went up and kissed the dead loved ones. After that they put the lids on the caskets and hammered them down then they lowered the caskets into the ground with ropes. When they were in the ground the family were the first to throw a shovel of dirt on the caskets. After the grave is filled in the people put the flowers on top of the grave and make a mound. Then they tie the flowers down with a clear tape. After this everyone leaves and the funeral is over. There is no meal afterwards or anything like that. It was quite an experience I will never forget. Some times I wonder if our way of having a funeral is just too sterile. Different and alot cheaper! Great Read~!